Congress delayed or suspended for one or two years the operation of three taxes that help finance the ACA: the so-called “Cadillac tax” on high-cost employer-sponsored health insurance policies; the medical device industry tax; and the health insurance provider tax. The House and Senate are close to final agreement (coming in January) to use the budget reconciliation process to repeal major, critical portions of the ACA, legislation that President Obama will veto and will see his veto sustained. 14 of 23 co-op health insurance plans created from the ACA have collapsed; also, UnitedHealthcare is dropping out of the ACA market. The third Open Enrollment process is proceeding smoothly with larger than expected numbers signing up for coverage – final numbers yet to come. On Medicaid, more holdout states are warming up to accepting the ACA expansion, and Kentucky’s new Tea Party governor has abandoned his campaign commitment to repeal that state’s expansion. More and more experts, from both sides of the ACA divide, are advancing robust and noteworthy proposals for ACA replacement or improvement. All in all, it’s a challenging and stressful time for the law. But then, what else is new? Recall, if you will, since 2010: two life-or-death Supreme Court challenges; the 2013 website debacle; the Democrats’ 2010/2014 losses of House and Senate majorities; and so much else. Challenges ahead, challenges behind – nothing this fall has reached life or death, and it all matters. Me? I’m looking forward to winter! The $1.1 Trillion Consolidated Appropriations Act and $650 Billion Tax Extenders Package: Ouch. Real damage here, principally in the form of the three ACA tax delays/suspensions. The 40 percent “Caddy” tax on high cost employer-sponsored health insurance plans, delayed from 2018 to 2020, stands out most – the most foregone revenue to finance the ACA, and the probable end of the law’s most significant component to throttle US health spending. Business and labor screamed for repeal only because this tax had real bite. Yes, the tax had flaws that should have been modified and shame on Congress for delaying rather than fixing. Anyone who said the ACA lacked cost control teeth — and there were/are many — was ignoring this provision. 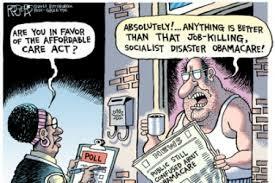 Now we hear again Republicans newly gabbing that they want to limit the federal employer health insurance tax preference – hah, hah! Good luck, suckers! The medical device tax suspension proves again that enough well-placed money can buy just about anything in Congress. The device industry, led by their trade group Advamed, had a case to make before the tax took effect in 2013. Now they have nothing that proves damage to their sector, just campaign donations to the right members of Congress. The suspension of the health insurance provider tax makes the most sense of the three because plans were putting this tax on consumers. But here’s a challenge: If insurers cannot prove, incontrovertibly, that they will use this 2017 suspension to lower premiums instead of fattening their pockets, they will have earned reinstitution in 2018. The long term damage here is unclear. While the three actions undermine the Congressional Budget Office’s proof that the ACA is fully self-financed, this matters for passage of the original law, not for continuation. These temporary provisions may make it slightly easier for Republicans in 2017 to finance near-full repeal if they control White House, Senate, and House in 2017. And if they win trifecta control, they don’t need these measures anyway. These provisions are damaging, and not mission critical to the ACA’s fundamental work of expanding coverage and reforming the delivery of medical care. The Reconciliation Bill: Let us praise the reconciliation bill for one simple reason – it provided a venue for the Tea Party and the House Freedom Caucus to celebrate a faux-blow against Planned Parenthood and the ACA, even though everyone knows that the bill will never become law. That was a public service, thanks to Senate Majority Leader Mitch McConnell and Speaker Paul Ryan for keeping this matter away from the real budget negotiations, which might have otherwise ended in yet another federal government shutdown. The Republican fig leaf demonstrates the Republicans’ ability to use the budget reconciliation process’ obscure rules to mortally wound the ACA, something that matters if and only if the party wins the November 2016 trifecta. Have a happy war dance on this one in January, Mitch and Paul. The Co-op Collapse: Many ACA observers, including me, were surprised that the ACA provision offering loans and guarantees to new non-profit health insurance cooperatives had any legs at all. Yet it did, a pleasant surprise. Before Congress cut co-op funding by two-thirds, 23 plans had formed, and more would have but for the funding suspension. Then, last year Republicans blocked full funding of the ACA’s “risk corridor” program, a move that more than anything else has now killed 14 financially vulnerable co-op plans. Co-ops served an important role by bringing down the cost of marketplace insurance during their first two years. Killing them damages insurance market competition and will increase costs – and it’s nothing to brag about, Senator Rubio. While this hurts more than anticipated, the damages are limited. As for the departure of UnitedHealthcare from the ACA marketplaces, this company got in late to a market in which they had no experience and their departure is not a big deal. Open Enrollment Round 3: We are nearly finished with the ACA’s third open enrollment for individuals and families needing to buy private insurance through the state and federal marketplaces, and get subsidies when income eligible. As of December 22, 8.1 million consumers have selected plans or been auto-reenrolled, compared with 3.4 million at a comparable time last year, with more signups yet to be processed. This number does not include enrollees through state exchanges. Once again, the Greek chorus singing of the Marketplace’s death is hitting false notes. The Medicaid Crawl: Ever since the 2012 US Supreme Court ruling that the ACA’s Medicaid expansion had to be an option for states rather than a mandate, I’ve predicted that by 2020 all 50 states will have joined. I’m holding to that prediction. No state that has joined the expansion is seriously considering backing out, even Kentucky. Of the 20 non-participating states, more are openly working to find a way to get to yes, with Deep South Louisiana up next. Once it is clear than ACA Medicaid expansion will not be repealed in 2017 – (and let’s see what the eventual Republican presidential nominee has to say about this) – we can expect the crawl to begin quickening. The New Wave of ACA Commentary: Since 2010, we’ve known that Republicans were committed to ACA repeal or repeal and replace. Yet none of the eight plans I examined earlier this fall passed the laugh test. Though the most credible, the Patient CARE Act by Sens. Richard Burr and Orrin Hatch along with Rep. Fred Upton, received two ballyhooed releases in 2013 and 2015, the plan has never been put into legislative language or scored by the CBO because there’s not enough beef to enable CBO to undertake a genuine score. Now, a “dancing with the stars” panel of conservative health policy leaders, including Joe Antos, Gail Wilensky, Avik Roy, and others, have collaborated to produce the most detailed and credible ACA replacement plan we’ve seen. Good for them – but if they want to be treated with the seriousness they desire, they should submit their plan for an independent evaluation on cost and coverage impacts. Meanwhile, over the course of 2015, three sets of recommendations have emerged on how to fix and improve the ACA from a progressive perspective, especially relating to insurance affordability. FamiliesUSA, the Urban Institute, and the Century Fund have all produced reports that demand attention and respect. I hope that in 2016 we will see Democratic candidates endorse this process and these ideas. Finally, I notice the new December Kaiser Health Tracking Poll shows, for the second month in a row, a noticeable drop in ACA favorability. All this could turn around in January, or not. 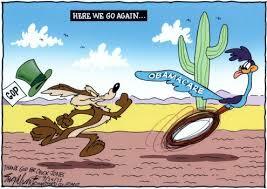 Fundamentally, the fate of the ACA is tied to the 2016 federal elections. If Republicans win the White House and hold onto majorities in the House and Senate, then major ACA deconstruction – especially relating to coverage – lies ahead. If Democrats hold the White House and/or the Senate, change will happen though not nearly as dramatic. What’s happening now is stage setting for two dramatically different health policy pathways for the nation. The stakes are still high.